These Michael Kors spring '11 sandals are the perfect design to me. They're casual, but not too casual, and they have just the right height lift. The socks are definitely a bold idea, but I think if you show enough leg they could be fun. I have been looking for a new style of sunglasses for spring; this pair by Mykita immediately grabbed my attention. I love the modern feel of these classic frames. Scissors are a great tool for an oversized piece. They not only help with the fit, but they also can give the garment a cool, rough, jagged look, as seen above. Sometimes I see an item of clothing and I gasp, I gasped at these. They are too cool, and look so comfortable. I am not sure the price point on this Chloe pair, but I am sure a faux option would work just fine. I have seen this bowtie look in a few style shots recently. I think it's such a fun and playful accessory. If you feel inspired, J.Crew men is a good spot to snag one. My Early bird post inspired me to have a peek at J. Crew's spring arrivals. The colors are fantastic. I adore the crochet top in the second image, it reminds me of the Isabel Marant top I posted in Something to look forward to. I'm keeping an eye out for embellished jackets like this one. I've had great luck with leather pieces from more affordable joints like Zara and H&M, so hopefully one pops up there. I think this would be such a fun item for spring/summer. I'm really liking unusual prints these days. This skirt is a tough one not to notice. I love how it is kind of campy, yet still really sleek. It is around this time of year we start to see the cruel display of spring pieces. I am usually a sucker for purchasing these items early, and then I am left trying to figure out how I can wear capris under my parka. 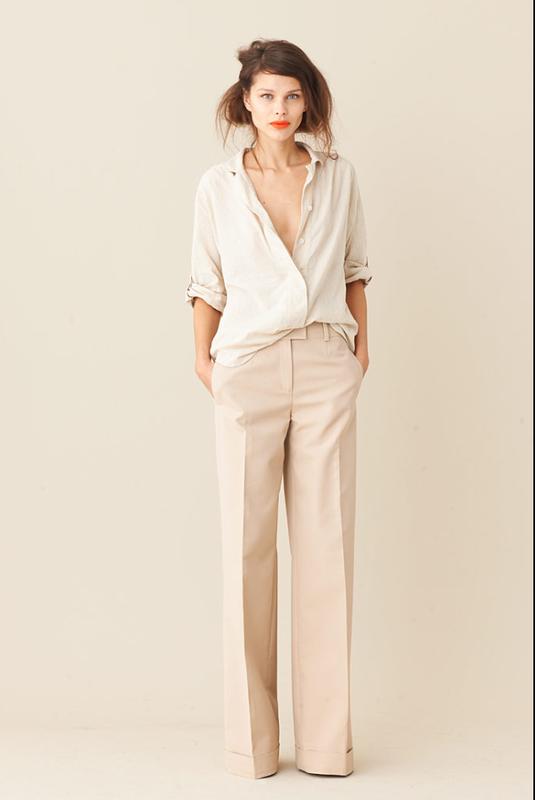 In my search for some spring escape, I stumbled across these shots from Madewell's online shop. They are not exactly January clothes, but they definitely have layering potential. 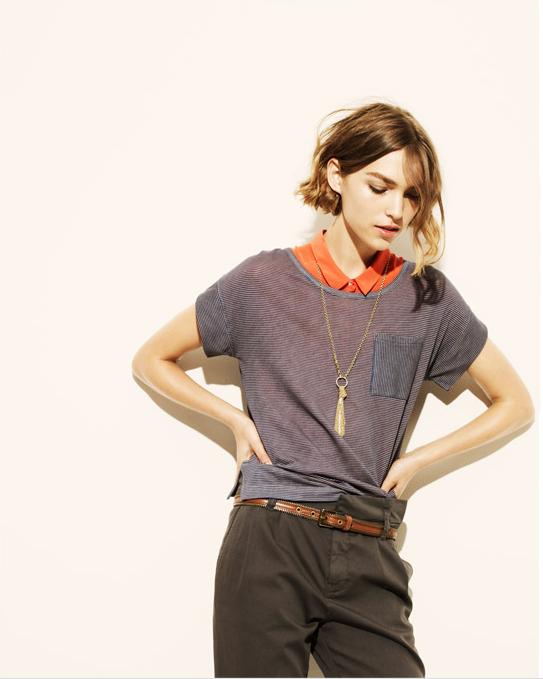 The combination of the elegant top with the playful pockets is perfect. 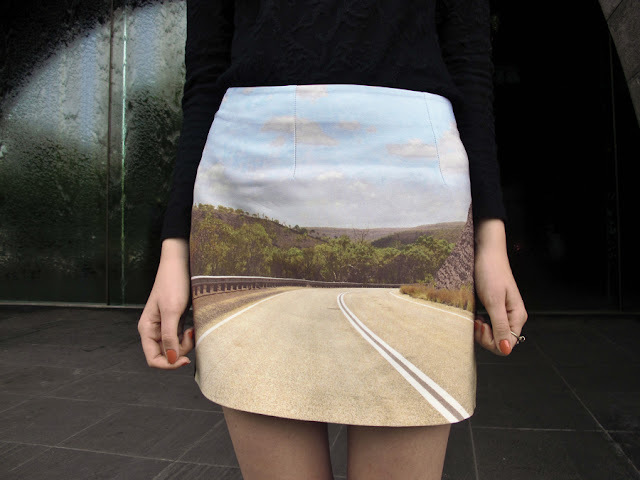 I don't think I'd consider this skirt if I saw it hanging on a rack, but this mix definitely perks my interest. 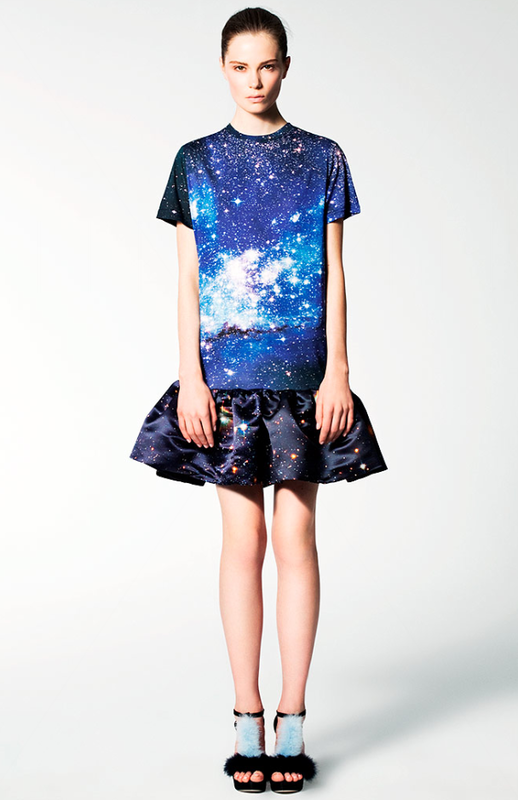 This is such a refreshing approach to a print. It's kind of rock n' roll to me, but at the same time quite beautiful. 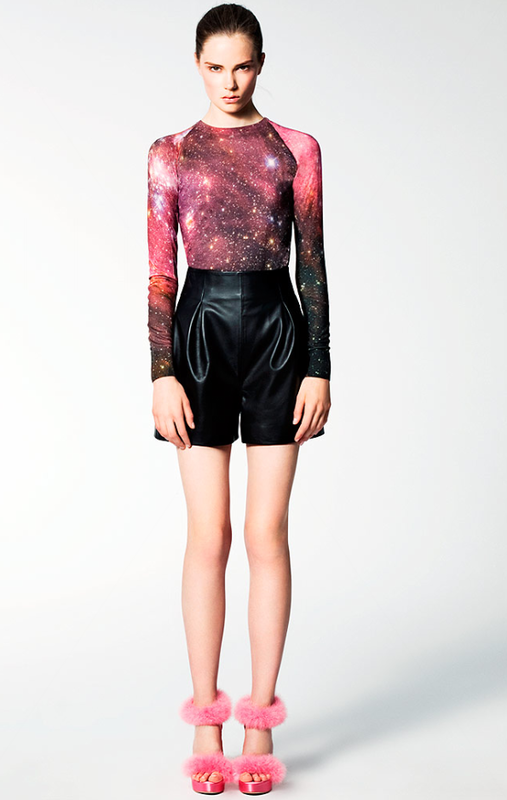 I think the faux leather pants and a cosmic t-shirt would make a happy pair. Tons of great texture and contrast in these shots. The bold black, white, and red combination is so fantastic. I think my favorite mix is the prim button up blouse and jacket, set against the tough boots, and red leather shorts. I typically go for tights with no pattern, but how fun are these? I came across these images yesterday, and each shot seem to inspire some ideas. I'm loving the tightly belted blazer, and the everything tucked in look from the second image. I also really dig the idea of a worn in baseball cap with a dressy coat or blazer. I've been keeping my eye out for a vintage one, the Ralph Lauren one above would be a killer find. 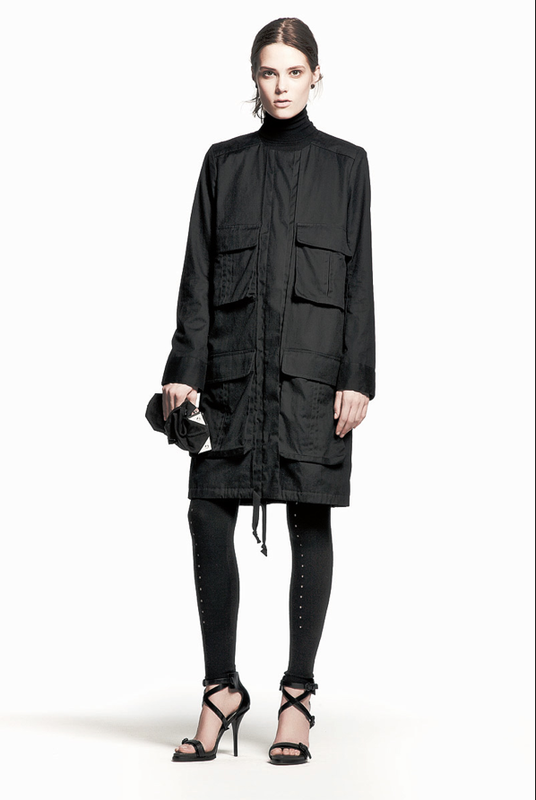 This is an enticing preview of what's to come for Mr. Wang's fall/winter collection. I really like the sleeveless cuts and his use of sheer fabrics. The collection is a nice blend of edge and femininity. I like the idea of incorporating more summer-ish scarves into the winter wears, it's a nice reminder that spring will get here...eventually. 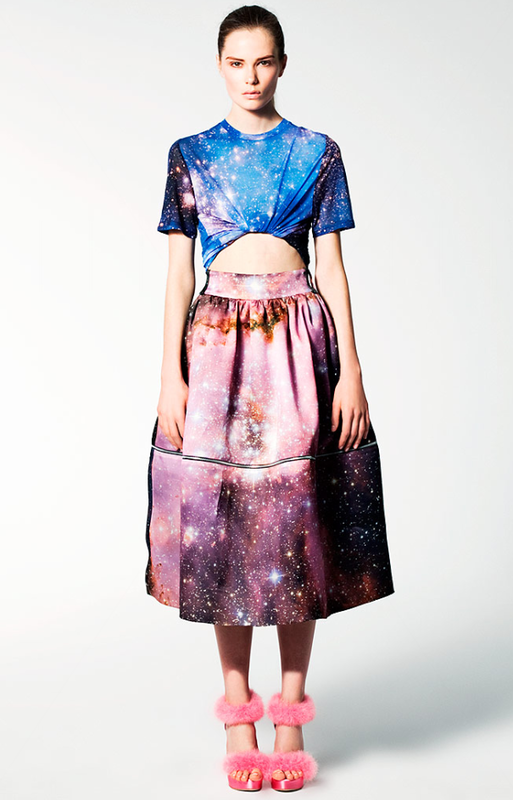 It's a pretty bold layering statement, but all of the individual pieces are so great I think it works. It certainly inspires some creativity for the cold months ahead. This is such a great photograph. I love the contrast of the soft femininity and the bold menswear. This is a great behind the scenes look into the world of Scott Schuman. It's really interesting to hear his thoughts about his craft, and the current state of photography. It was especially cool seeing his most recent photographs, one of which I posted, play out on film. The clogs make another appearance. 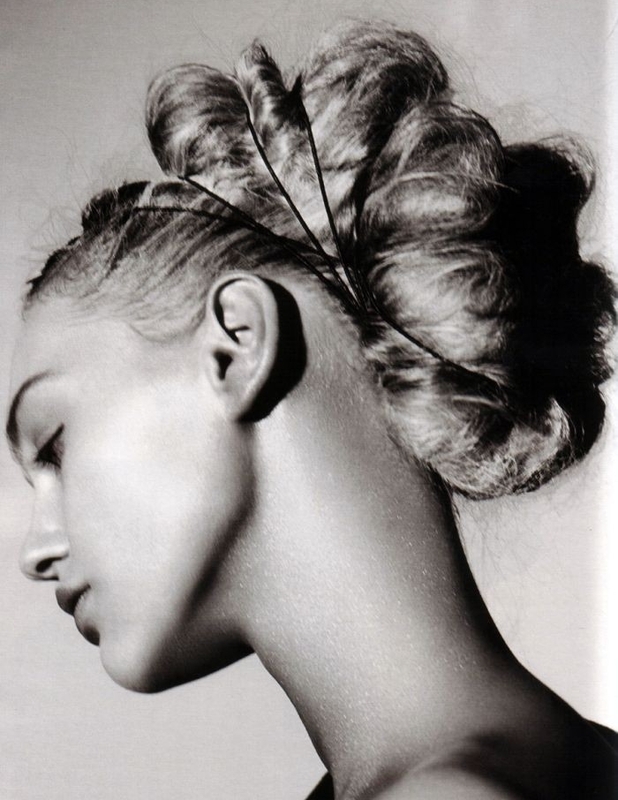 I love how messy and rough this updo is, yet still so elegant. 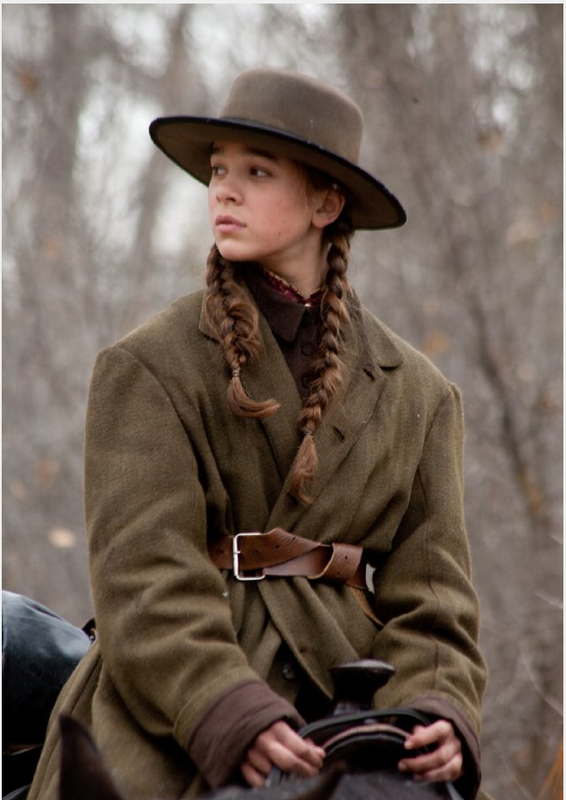 I saw True Grit over the weekend, and for a moment during the film I was distracted by how much I adored the main character's over sized coat and knotted belt. 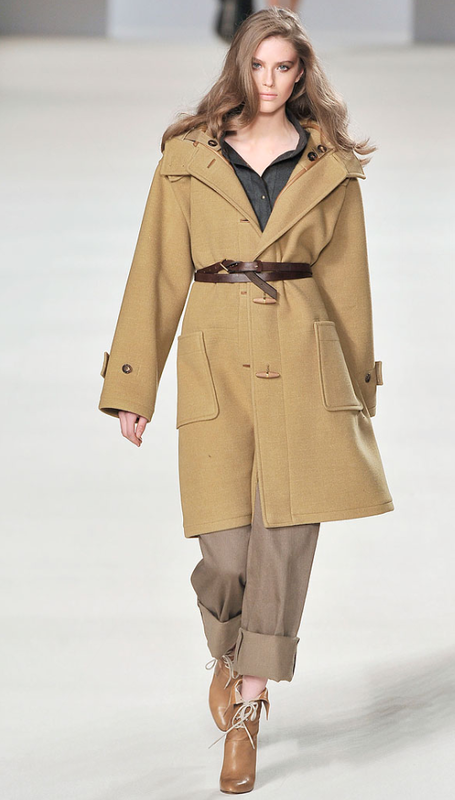 Last year Chloe had a similar look in their fall/winter collection, but I prefer the ruggedness of the masculine belt from the first shot. This is such a gorgeous collection of colors. Although it's tough to single out a favorite item, I have to say the shorts are pretty amazing.